El Pirata de Tapas in Notting Hill, sister restaurant to El Pirata de Tapas Mayfair, came to fame when Gordon Ramsay named it one of his ‘Best Spanish Restaurants in the UK’ in 2010 on his Ramsay’s Best Restaurant TV programme. That recognition belonged to a time when El Bulli trained Spanish chef Omar Allibhoy was still the head chef at El Pirata de Tapas (co-incidentally Allibhoy had also worked at Gordon Ramsay’s Maze restaurant under Jason Atherton prior to taking over the reins at El Pirata de Tapas). These days Allibhoy is busy with other ventures such as his books and Tapas Revolution with the current head chef at El Pirata de Tapas being a Julian Gil. El Pirata de Tapas is a comfortable looking restaurant and is suitable casual in keeping with the many other casual eating options along Westbourne Grove. The restaurant serves a modern tapas menu, a throw back to the days of Allibhoy. There was a great value set lunch menu at £9.95 for two tapas dishes including bread and wine, but we elected for the more adventurous offerings from the standard a la carte menu. 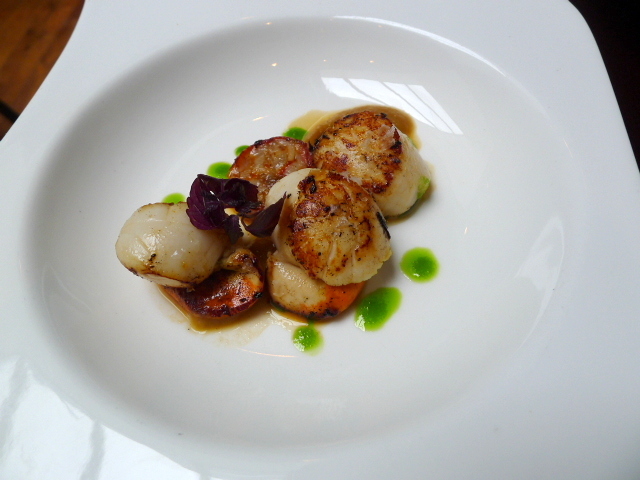 Seared scallops (£9) were nicely cooked and came with a sweet and delicious onion purée that worked well with the scallops and some pork roulade that was quite fatty. Overall this was a nice dish but it would have been better had it not come out cold. 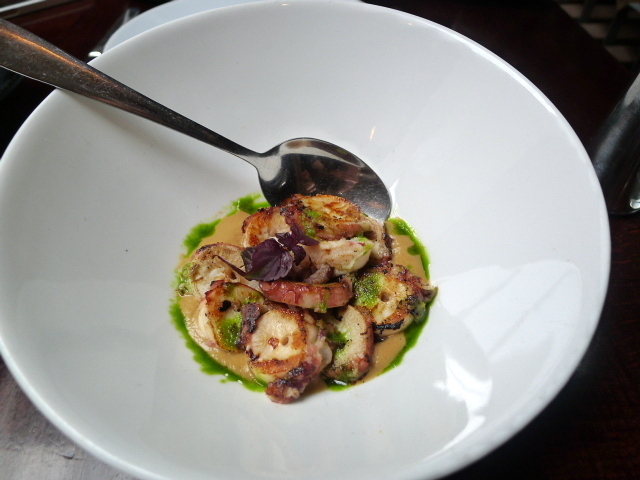 The grilled octopus in an octopus stew (£6.50) proved to be really tender but was very bland with little caramelisation on the flesh to prove that it had in fact been grilled. The saving grace was the robust flavour of the stew. That said the octopus should have been the star of the show. Fresh cod pil-pil (£6.50) was also a little cold although we enjoyed the freshness of the fish and the fact that it was moist and nicely cooked. But it was rather under seasoned, and the accompanying sauce of garlic, olive oil and Spanish chilli was dull with little flavour in the way of garlic or chilli. 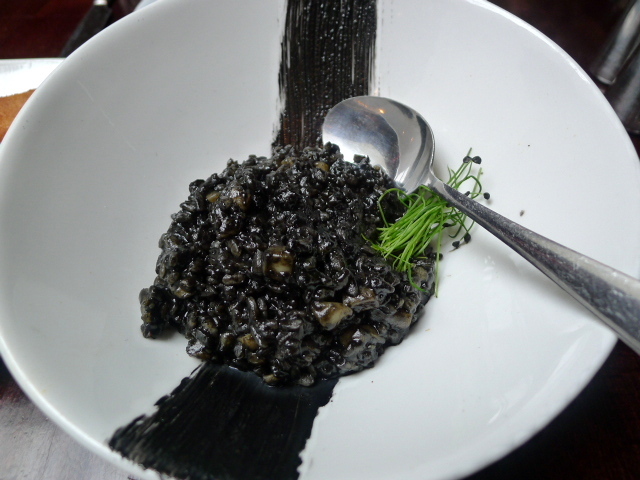 A black risotto with squid and black alioli (£6.50) showed skill in its execution with a sweet deliciousness coming through from the squid ink and a bouncy bite in the rice. The squid was also tender and tasty. Wood pigeon (£7) had been beautifully cooked and was nice and pink, although more crispiness on the skin would have elevated the taste of the bird further. 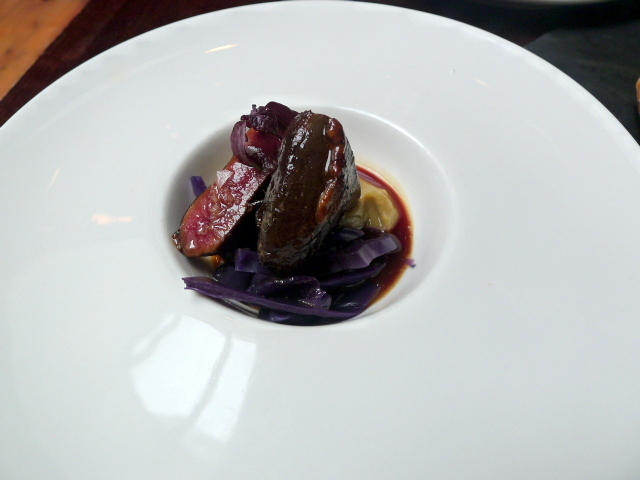 Served with a sweet fig purée and red wine jus, this was an all round lovely plate of food. We were promised that the tortilla (£5) would be served runny, at least this was what the menu said. 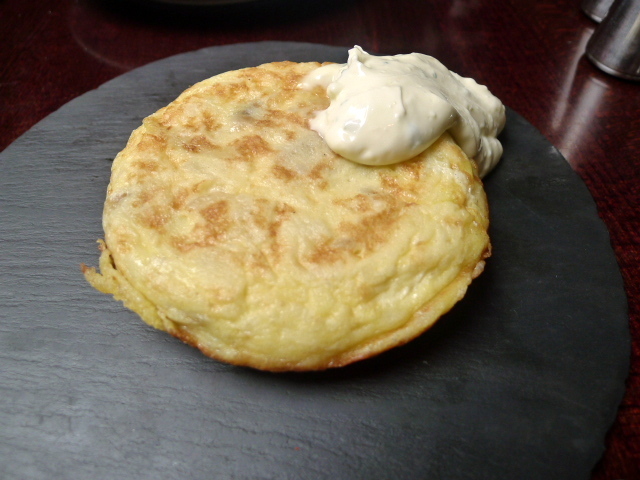 However the El Pirata de Tapas’ verision of this classic Spanish tortilla was disappointing as it was overcooked. The flavour of the tortilla was decent, but there was no runniness to it. Rather it was a little dry and grainy, and the potatoes were far too soft. 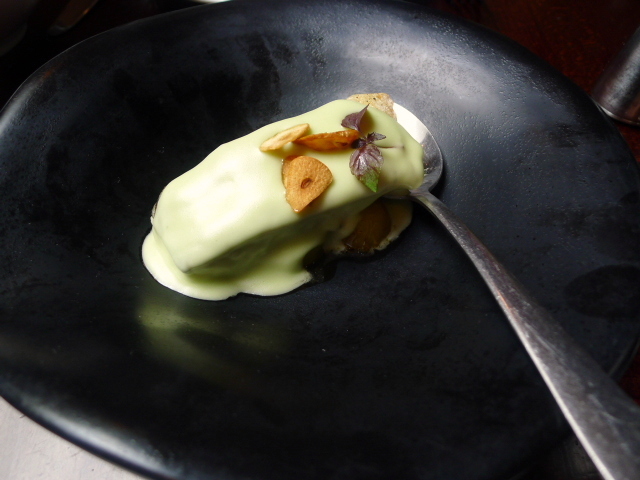 There was great ambition in the menu at El Piratas de Tapas which was pleasing to the eye, and the presentation of the food was prettily done. But the execution didn’t quite match the intention of the menu, and in this regard El Pirata de Tapas was a little disappointing. No doubt not having Allibhoy as the head chef has affected its delivery. The restaurant wasn’t bad, but it just wasn’t as good as the hype that being a ‘Gordon Ramsay best Spanish Restaurant’ would suggest. The service was friendly and all in all it’s an ok outfit. And if nothing else, the prices were reasonable. Prices: About £20 a head for three tapas per person. Excludes drinks and service.